Perhaps you’ve seen multitalented Brad McCrary in one of his many roles, performing in Big River, On Golden Pond and Fiddler on the Roof. His latest role is that of clogging instructor at Cannon Arts Dance Studio. Brad brings his many years of clogging experience along with his enthusiasm for teaching to the studio’s newest class. 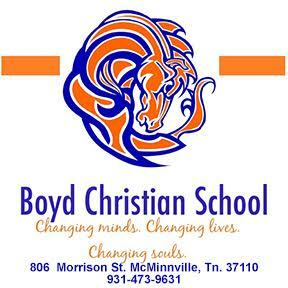 You can catch him every Friday from 5:30 to 6:30 teaching beginning students of all ages. 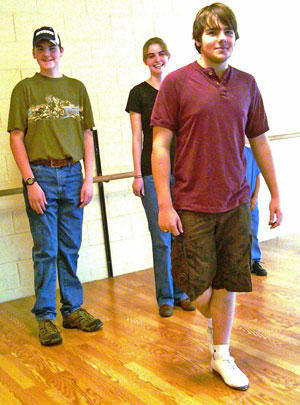 Pictured here with Joseph and Erin Brown, Brad demonstrates a basic step at the first class offering. The class fee is $40 for a six week session. New students are still being accepted. For more information, contact the studio @ 563-9122 or email cannonarts@hughes.net.